Kathy Emling, left, president of the Senior Center of Boulder City’s board of directors, and Sharon Imlay manned a table filled with baked goods in Bicentennial Park to help raise money for the center’s Meals on Wheels program on Saturday, March 16, during the fourth annual Rock, Roll &Stroll. (Hali Bernstein Saylor/Boulder City Review) Kathy Emling, left, president of the Senior Center of Boulder City's board of directors, and Sharon Imlay manned a table filled with baked goods in Bicentennial Park to help raise money for the center's Meals on Wheel's program on Saturday, March 16, 2019, during the fourth annual Rock, Roll & Stroll. (Hali Bernstein Saylor/Boulder City Review) Members of the local 4-H program, from left, Avalon McNary, Maeli McNary, Abbie Peck, Grace Zielinksi, holding baby Xochitl Ixmatlahua, Luisa Ixmatlahua, Rahchell Zielinkski and Lane Williams, demonstrate how to play Jenga with giant building blocks in the kids zone at the Rock, Roll & Stroll in Bicentennial Park on Saturday, March 16, 2019. 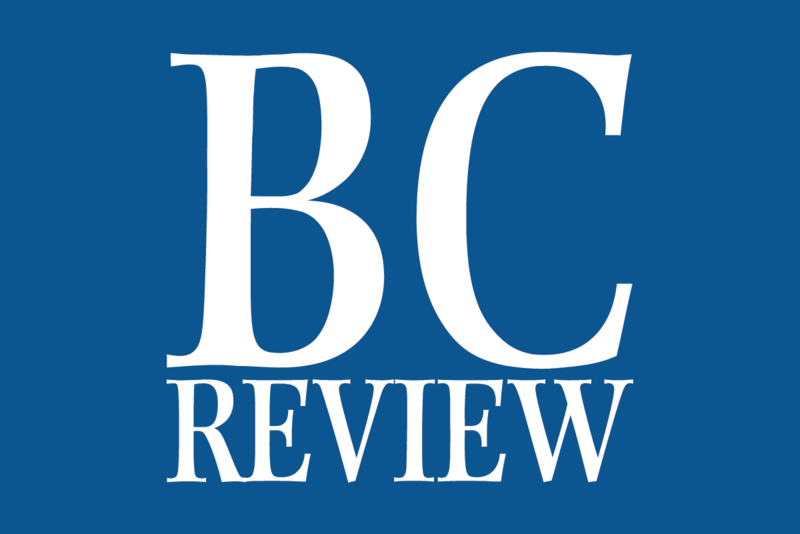 The event raised funds for the Senior Center of Boulder City and its Meals on Wheels program. 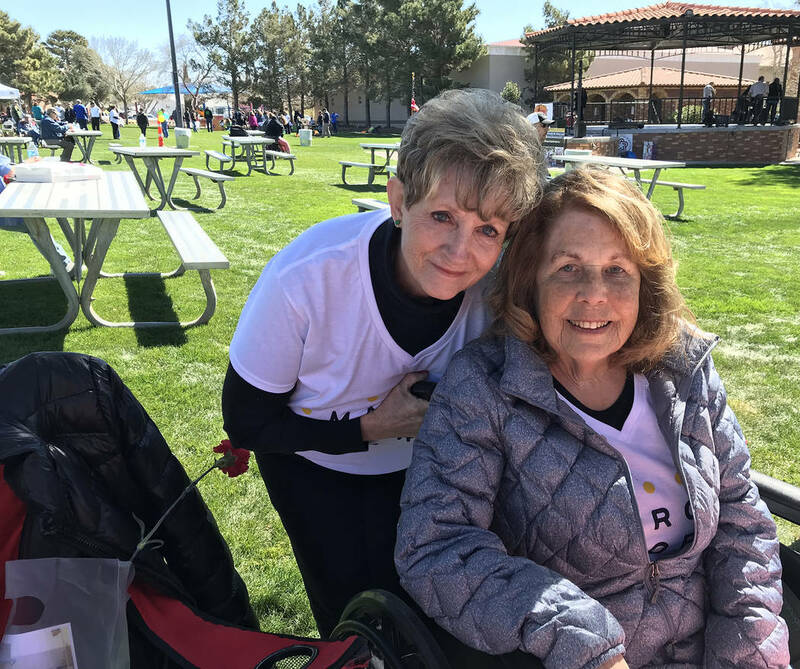 (Hali Bernstein Saylor/Boulder City Review) Victoria Mason, from left, executive director; Darlene Looney, board member; and Melinda Reddin, kitchen manager, of the Senior Center of Boulder City were among those who came out to Bicentennial Park on Saturday, March 16, 2019, to support the Rock, Roll & Stroll fundraiser for the Meals on Wheels program. (Hali Bernstein Saylor/Boulder City Review) Caroline Martin and her dog Paco were enjoying the sunshine and entertainment at the Rock Roll & Stroll fundraiser for the Senior Center of Boulder City held Saturday, March 16, 2019, in Bicentennial Park. (Hali Bernstein Saylor/Boulder City Review) Dale Ryan, left, and Andy Anderson manned the barbecue grill, cooking hamburgers and hot dogs, at Saturday's, March 16, 2019, Rock, Roll & Stroll to raise funds for the Senior Center of Boulder City and its Meals on Wheels program. 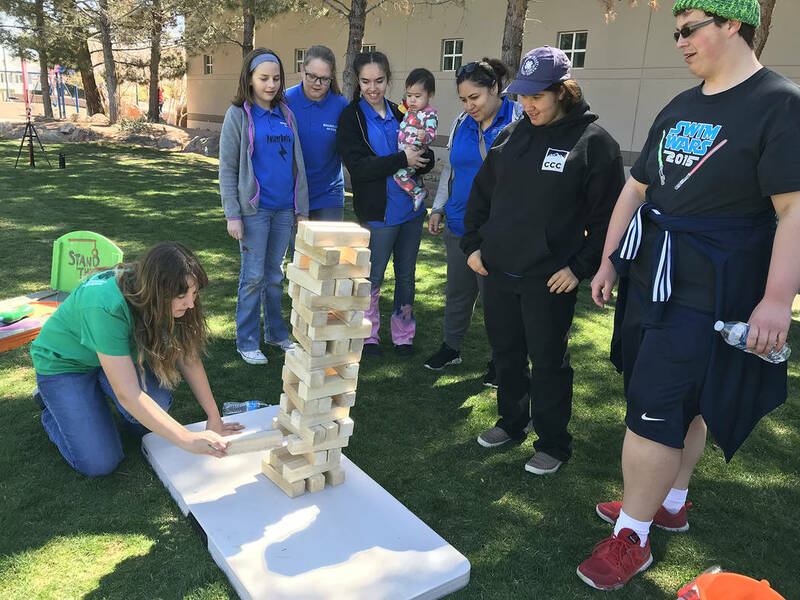 Members of the local 4-H program, from left, Avalon McNary, Maeli McNary, Abbie Peck, Grace Zielinkski holding baby Xochitl Ixmatlahua, Luisa Ixmatlahua, Rahchell Zielinkski and Lane Williams, demonstrate how to play Jenga with giant building blocks in the kids zone at the Rock, Roll &Stroll in Bicentennial Park on Saturday, March 16. The event raised funds for the Senior Center of Boulder City and its Meals on Wheels program. 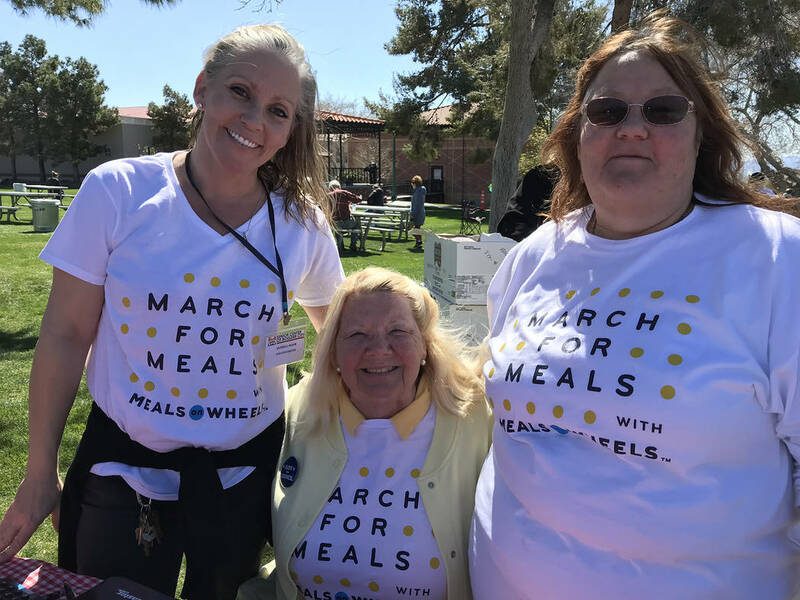 Victoria Mason, from left, executive director; Darlene Looney, board member; and Melinda Reddin, kitchen manager, of the Senior Center of Boulder City were among those who came out to Bicentennial Park on Saturday, March 16, to support the Rock, Roll &Stroll fundraiser for the Meals on Wheels program. 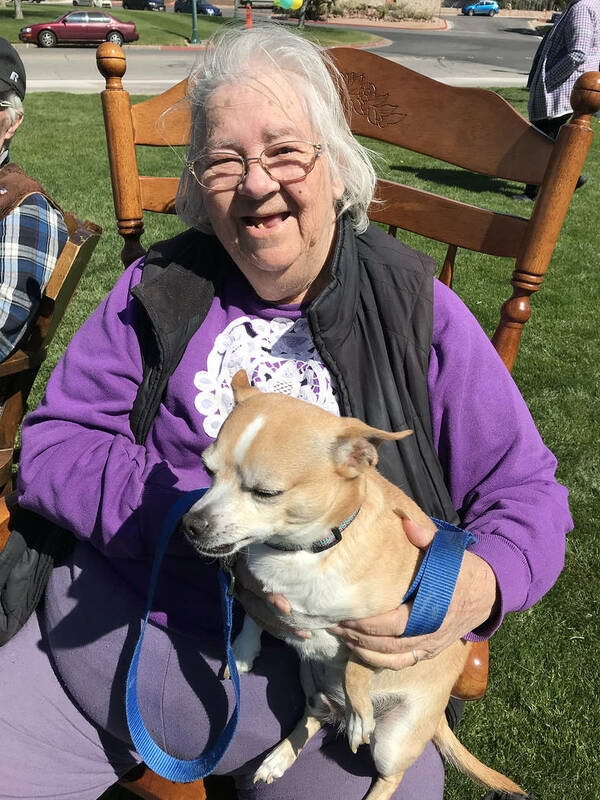 Caroline Martin and her dog Paco were enjoying the sunshine and entertainment at the Rock Roll &Stroll fundraiser for the Senior Center of Boulder City held Saturday, March 16, in Bicentennial Park. 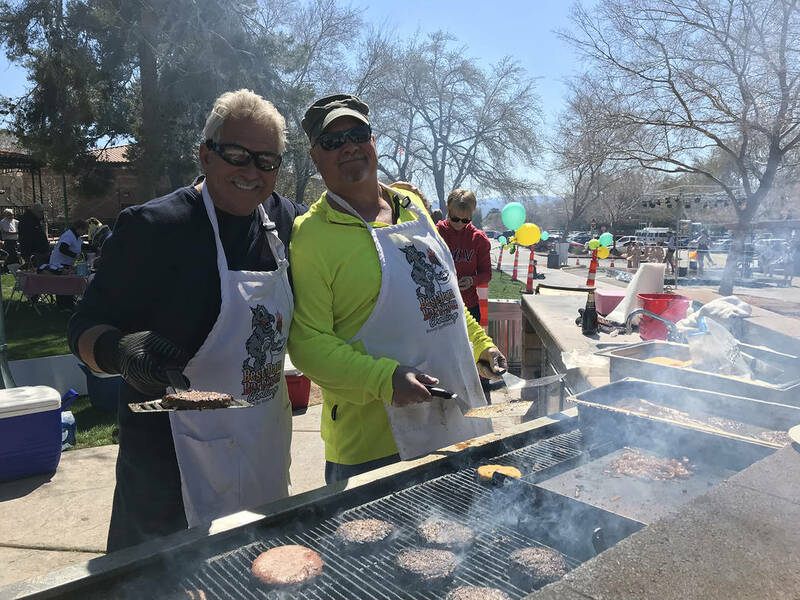 Dale Ryan, left, and Andy Anderson manned the barbecue grill, cooking hamburgers and hot dogs, at Saturday’s, March 16, Rock, Roll &Stroll to raise funds for the Senior Center of Boulder City and its Meals on Wheels program.